Sir Mo Farah (handicap -7.1) was in dominating form to win his fifth Great North Run title while Northern Ireland’s Emma Mitchell (handicap -7.1) was the first British woman to cross the line in South Shields classic. 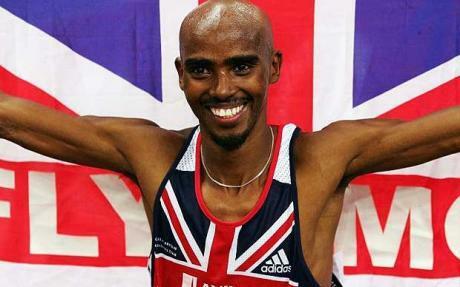 The top British men behind Mo Farah were Mohammud Aadan (handicap -5.7) and Andy Vernon (handicap -6.5). Hayley Carruthers (handicap -0.1) continued her impresive rise up the runbritain rankings with a second place behind Mitchell in the UK results. Lily Partridge (handicap -1.9), Aly Dixon (handicap 0.0) and Charlotte Purdue (handicap -1.1) showed signs of a long season coming third, fourth and fifth respectively. Other masterful performances came from Julie Briscoe (handicap 1.0), Rebecca Robinson (handicap 1.0), and Tracy Millmore (handicap 2.0), who were in the top ten finishers. Dundee Hawkhill Harriers’ Kristian Jones (handicap -5.5) was a classy winner of this title in a comfortable 29:56, almost a minute ahead of his nearest rival, Grant Sheldon (handicap -1.3). The women’s race was also competitive, with Shettleston Harriers’ Fionnuala Ross (handicap -0.3) just seconds off her PB with a sparkling 34:05 result. Fife AC’s Steph Pennycook (handicap -0.1) also cracked the 35 minute barrier with a 34:38 result in second.